MESA contributes to students’ higher education savings; provides money management courses. 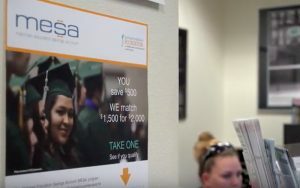 Since its launch in 2017, the Matched Education Savings Account (MESA) program has seen success, with 32 students completing 76 financial education courses and saving more than $10,000 for higher education costs —a total of $40,000 with matching funds. A growing number of Northwest families facing the rising costs of higher education have taken advantage of MESA, which helps low-income students save for post-secondary education in Idaho, Oregon, and Washington. The MESA program helps students avoid debt while strengthening their financial skills. After students meet program requirements, each dollar saved is matched by the Northwest Credit Union Foundation 3:1 for up to $500 in savings and $1,500 in matching funds for a total of $2,000 toward books or tuition. By working with local educators and school officials, Clackamas Federal Credit Union has expanded its mission to help improve people’s lives through MESA. Currently, the credit union is helping eight students with college funding assistance and financial education courses. “At Clackamas, we are dedicated to financial literacy education, and participating in the MESA program has given us another avenue to make an impact with educating our community on the importance of being smart with your money,” said CFCU Marketing Specialist, Hilary Kissell. 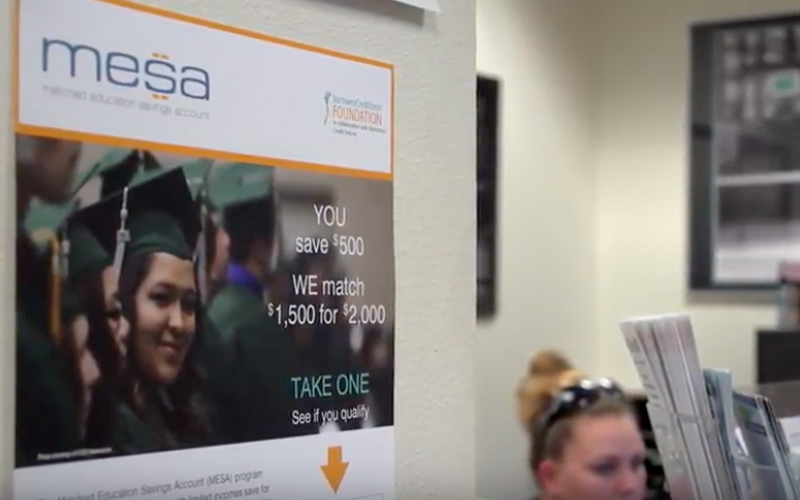 In addition to saving at least $25 per month for six months, to participate in the MESA program students must successfully complete coursework and testing on eight core financial topics including money management, credit matters, auto purchasing, and more. Northwest credit unions provide MESA services with matching funds from the Northwest Credit Union Foundation. Donors are making a difference in the lives of Northwest students. If you’d like to get involved or learn more about the MESA program and the Northwest Credit Union Foundation, contact Sharee Adkins at sadkins@nwcua.org or at 206-265-0313.